There’s a reason food banks have been established at the University of Iowa, Iowa State University and more than 500 other college campuses since 2010. Student hunger. Last month researchers and policymakers met for a second annual “Real College” conference, which focused on college food and housing insecurity. They came to discuss disturbing trends outlined in a March 2017 report, “Hungry and Homeless in College,” and explore possible solutions. The report was a much more robust offering of findings first outlined in December 2015 as part of “Hungry to Learn.” Both reports are from Wisconsin Hope Lab, the nation’s only translational research lab seeking ways to make college affordable. It was founded by Sara Goldrick-Rab, currently a professor of higher education policy and sociology at Temple University. “Since 2008, my team’s research on how students finance college has revealed that the main barrier to degree completion isn’t tuition; it’s having a place to sleep and enough food to eat,” Goldrick-Rab wrote in an opinion piece published by Talk Poverty. The report is the largest ever conducted among college students, including more than 33,000 students at 70 community colleges in 24 states. The Hawkeye State was represented by students at Des Moines Area Community College. 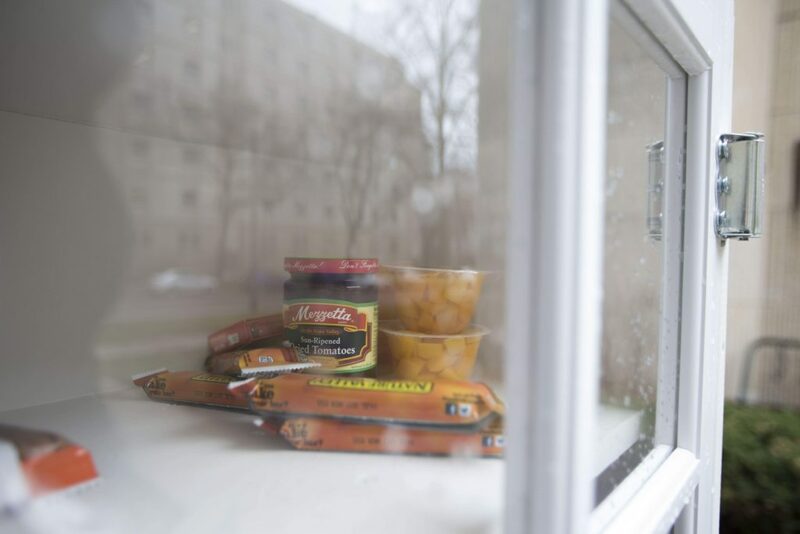 While the 2015 report, created from a much smaller sample, indicated about 50 percent of community college students were food insecure, the larger study found that nearly 67 percent couldn’t always access food. That’s a rate much higher than the general population. In addition, roughly half of all community college students surveyed were housing insecure, and between 13 and 14 percent were homeless. Young adults previously in foster care are especially at risk, as are students with children. Looking just at college students in the Midwest, 48 percent of those surveyed said they were housing insecure, and 12 percent reported being homeless. More than half of Midwestern students (53 percent) reported having low or very low food security. Whether colleges were located in urban or rural areas made little statistical difference. This information should prompt action in Iowa where an exploration of the state’s education and workforce trends by Georgetown University’s Center on Education and the Workforce revealed that by 2025, 68 percent of jobs will require education and training beyond high school. “We look forward to leveraging this important work to advance Iowa’s economic growth and career opportunities for our current and future workforce,” then-Gov. Terry Branstad and current Gov. Kim Reynolds wrote in the report’s introduction. If Iowa businesses need skilled workers, and students are struggling, let’s jump-start the economy by investing in our kids — with more than food banks.